I have raised 4 children and now have 16 grandchildren, with #17 soon to be arriving. So I fully understand the importance of good hand cleaning and hygiene. Did you know that 80% of illnesses can be transmitted by the hands? Good hand hygiene is one of the most important preventative measures we can take to cut down on the germs that cause illnesses. 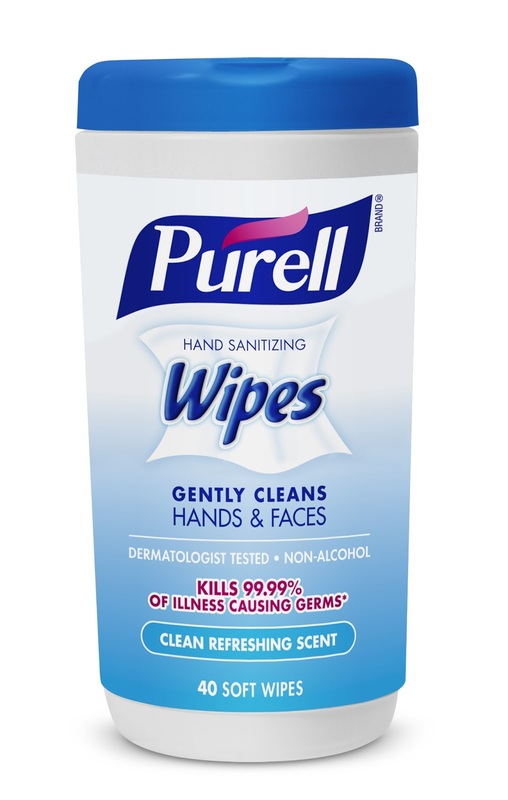 In January of 2012 Purell Advanced Hand Sanitizer was launched. It kills 99.9% of germs that cause illnesses and is recommended by hospitals than any other leading brand. 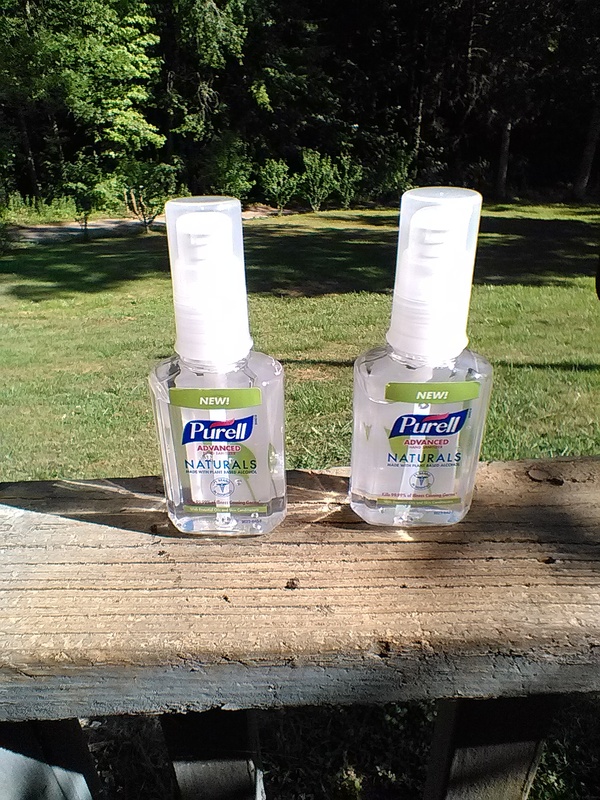 This year, 2016, Purell introduced Purell Advanced Hand Sanitizer Naturals. It also kills 99.9% of germs, but is formulated with naturally derived ingredients. This EcoLogo and USDA Biobased certified product is made from plant-based alcohol and naturally fragranced using essential oils. 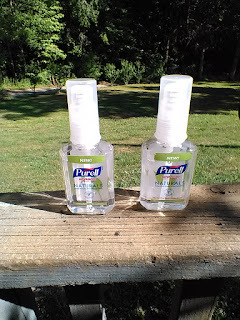 There are many other products by Purell, such as the portable 1 oz. size JELLY WRAP. They come in 4 scents, Ocean Kiss, Blushing Pink Orchid, and Mandarin Medley. These small containers can be attached to your backpack, your purse,or hung from your rear view mirror in your vehicle. There are also Purell Hand Sanitizing Wipes. They come in a canister. 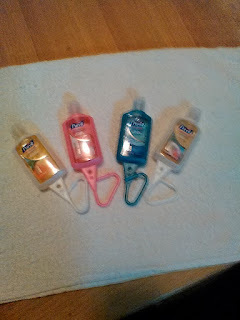 They are perfect for sanitizing and wiping your hands. They kill germs, remove soil as well as maintain skin condition. All of these Purell products are readily available in most pharmacies,food and major mass stores. They are very competatively priced. 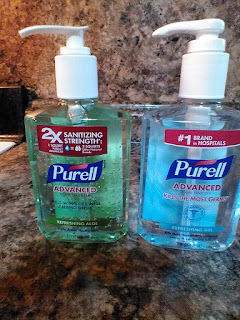 You should always wash and sanitize your hands before and after preparing food, before eating,after using the bathroom,after touching anything in a high traffic area such as a handrail, cart handle, etc., after caring for someone that is sick, or after sneezing or coughing. When you wash your hands the whole process should take at least 20 seconds. Wet hands with water, apply enough soap to create a good lather to cover your entire hand surface, rub your hands together, carefully scrub each finger, front and back of your hands and thumbs. Rinse with warm water and dry on a paper towel. Then sanitize. Put about a dime size amount of sanitizer in the palm of your hand, rub the palms together, fingers, front and back of hands and thumbs, continue to rub until your skin is dry. Following these simple practices will cut down greatly on sickness especially with the new school year coming up. I know I will be stocking up on all these Purell products. I will also be sending the travel size with my grandkids to keep in their backpacks. If we all keep our hands clean and sanitized just think how many viruses we can keep from passing around. I didn't know that there was hand sanitizer wipes out. Wow awesome post you have shared with us its an amazing and nice to read. I would like to read more post like this Keep blogging and all the best.for information regarding toilet seat sanitizer please visit to the link.